Back In The Gi » Blog Archive » Everyone’s an expert. One of the less appealing things that one may encounter in the martial arts is a tendency for people to criticize each other. Actually, let me be more specific: there is a tendency among some martial artists, more often than not mid-level students, to be very critical of others. This is most obvious when discussing martial arts other than one’s own, but it also applies to (non-constructive) criticism of the performance of practitioners of the same art. As I have been working to recall details of kata that I used to perform regularly but have since forgotten through lack of practice, I have been looking for examples of performances online. Some Senseis provide instructional videos, which can be very helpful, but in other cases it’s enough to just see someone very skilled perform the kata in order for it to begin coming back to me. 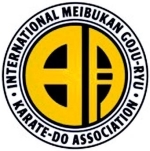 I have also enjoyed seeing variations of the same kata performed by practioners from different branches of Goju-ryu, especially my previous school of Jundokan and my new one of Meibukan. Finally, it has been nice to get a small preview of some kata that I have not yet learned, such as the ones specific to Meibukan, performed by some of the highest-ranking members of the school. Here’s an example of Akihiro Yagi performing the Meibukan kata Tenchi in 2003. Wow. This is what it looks like when you train all your life with the masters. This is a particularly humourous example, but you can find similar critiques all over YouTube. In fact, I can understand why many martial artists who post videos of themselves performing kata have disabled the comments. Otherwise there is an inevitable flood of criticism about why the kata is all wrong. Here’s the thing. The masters of the original styles, the people who developed the kata, generally did not record the moves in detail in writing. Kata are taught and learned through what is effectively an oral tradition, which is notoriously susceptible to alteration. Sometimes this happens unintentionally by virtue of the process of learning a kata from someone who learned it from someone who learned it from someone, like in the kids’ game “telephone”. Other times, there are purposeful modifications made by subsequent masters. Martial arts are not static, they continue to evolve through time — if they didn’t, there would be no karate. And, of course, we’re all familiar with being informed of minor updates to the way we’re supposed to be performing specific moves within kata. Tradition and precision are extremely important. I simply mean to say that it is inevitable that minor differences will arise, intentionally or not, even among dedicated, highly skilled, and well-trained martial artists. This is even true among students who trained directly with a style’s creator, as I noted elsewhere. The key is to learn a particular version and to work hard on doing it properly as per the instructions you receive, while also recognizing that other students may learn things in a slightly different way. So, what about the people who don’t get this and post inane comments on YouTube? Well, in general I think these tend to students with fairly limited knowledge. They know enough to spot differences, but not enough to understand why those differences my exist. Generally speaking, highly trained martial artists recognize that every martial art has pros and cons, and that there is a lot of history behind why there are multiple styles and slightly different versions of kata. To paraphrase J.M. Barrie, well-trained martial artists aren’t inexperienced enough to know everything. About the Sanchin Kata example. The kata looks like a supposed “saam chin” (Chinesse) Version. a Sandan or lower Belt. Also, Yagi Sensei kata is perfect and correct. There are two versions of Sanchin in Goju-ryu (Jundokan, at least — seems not in Meibukan). One is the original and the other is a modified version that Chojun Miyagi developed. The latter does not have any turns in it. However, this guy’s “Sanchin” is like nothing I have ever seen! After seeing the Geki Sai Ichi, and reviewing the guy’s website, you are right. The guy “created” his own style. I tried to give him the benifet of the doubt. I tried be fair, but you are right.